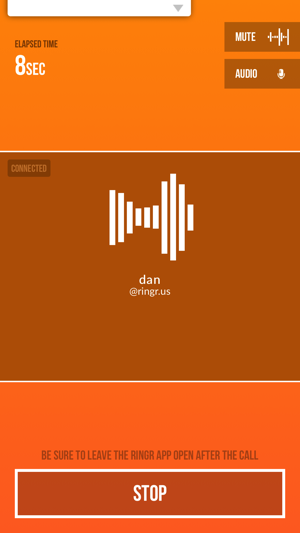 RINGR lets you connect with virtually anyone on the planet, record your conversation, and instantly download it for editing, playback, and sharing. And the best part? The sound quality is amazing! In fact, unless you share your secret, no one will know the two of you weren't sitting right next to each other having a face-to-face chat. 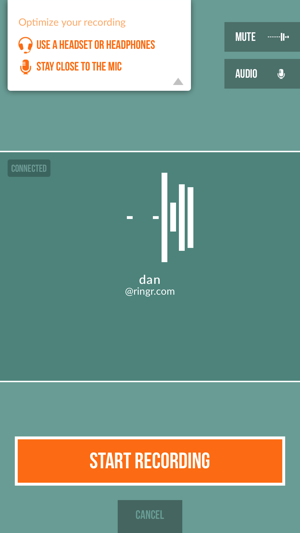 Use RINGR to record podcasts, radio or job interviews, and other conversations worthy of saving and/or sharing. Each recording sounds like you both are in the same room, even if you’re on opposite sides of the country…or the world! 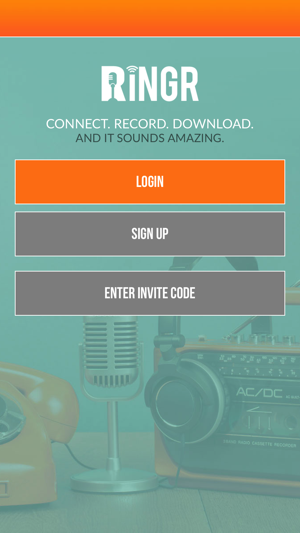 Record unlimited interviews and conversations at amazingly high quality, no studio required. Mono MP3 downloads at moderate bitrates for FREE users. Many additional download format options for PREMIUM subscribers, including split-tracks, stereo files, and high-bitrate MP3, OGG, and FLAC. In-app scheduling of future interviews. Receive your files within minutes...sometimes seconds! 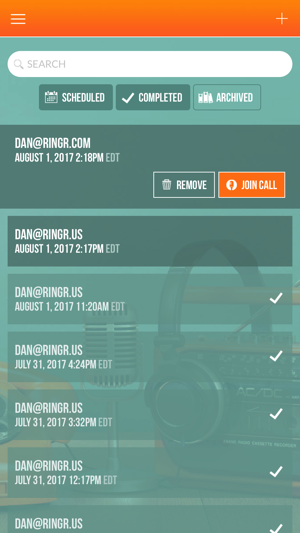 This was the only podcast service I found that works well for long distance interviews over the phone. The problem is every interview except my latest has had technical issues requiring restarts of phones and browsers. The desktop website is confusing as well. Hopefully they will get things right soon. This has real potential! 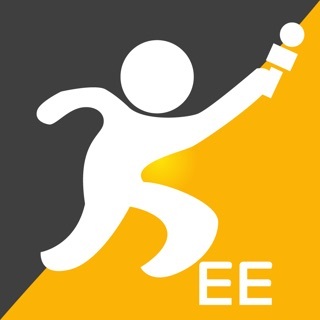 I think this is a phenomenal app. My girlfriend and I use it a lot. The only thing I wish is that it was a bit more accessible with voice over, and it had an option to share recordings to Dropbox. It worked flawlessly the first interview. It’s been trash for the other interviews. It either doesn’t work or can’t connect all parties. Plus support wasn’t helpful. I’ve lost all confidence (and a few guests) behind this service. What’s frustrating is that I can see what it could be. It’s outstanding when it works, I just don’t know when that will be.